Sardinia vs Google Maps – who will come out on top? For over a month, rebel islanders have changed the way Google maps shows the island of Sardinia, by modifying town names to read in Sardo, the official language of the island. As of October 14. 2013 Google responded by modifying all town names, back to Italian. This will not sit well with the islanders who painstakingly took the time to change the names from Italian to Sardo. Why can’t we keep both teams happy? By creating one Google map using Sardo and Italian it will alleviate the stress for the thousands of tourists who flock to the island each year. I have noticed two road signs indicating a town’s name, written in Sardo and Italian. Unfortunately, in some areas the Italian sign is vandalized or destroyed, in other areas it’s the sign in Sardo which has been defaced. How can we keep the peace in this linguistic war? « Sardinia and Google Maps – So what’s all the fuss? Absolutely! Why not use both languages? Would that be so difficult? Because Sardinia is more than just two languages… so to make everyone happy google should write every single dialect on the map. e.g. Tatari, Tàtari, Tattari, Tàttari, Thatari, Thàtari, Thathari, Thàthari, Thattari, Thàttari, Thatthari, Thàtthari, Tatthari, Sàsser, Sassari. Now we’re talking! 🙂 Cause Lord knows I don’t speak Sardo! Regarding the early translations a place of honor must be reserved for those Piedmont cartographers who transcribed the original Sardinian names as they were pronounced to them some two centuries ago. Thus the island of Malu Entu, literally isle of foul or bad wind, so called due to the fact that the island is continuously exposed to North Westerly winds or Maestrale has become the Italian Isola di Mal di Ventre which translates as the Isle of tummy ache. Similarly the modern name for a barren rock South of Villasimius, the Isle of Cavoli, which translates into cabbage island, most likely derives from the Sardo name cavuru making it a more credible Isle of Crabs and the list goes on… clearly a historical case of Lost in Translation. 🙂 the names given by the Savoy’s cartographer were often ignored by the population, since no-one was forced to use the “new names”. by the way, thank you for the link! This is all so very interesting! Thank you! Just had a look at the link you’ve provided. It’s fabulous, I’m going to have so much fun with that! Thank you. At this point I wonder why they don’t translate every single name to Italian, as it was already done (partially) some decades ago. I will be disappointed but my son, will grow up knowing only the italian names, and when in 2063 Google will release the 50 anniversary sardinian map, everyone will complain about names like “Marinedda”, “Tresnuraghes”, “Abbasanta”, “Baddimanna” that in the meantime were translated into: “La piccola marina”, Tre nuraghi”, “Acqua santa”, “Valle grande”. I grew up listening to both italian and sadinian names, my grandmother always referred to Alghero as “S’Alighera”. I don’t speak Sardo either, but I do understand it. So when I read people from Sardinia complaining about Sardinian names, I’m deeply ashamed of them. “We need to learn sardinian names” so? Where’s the problem, take it as an opportunity to enrich your cultural background, and finally you will be calling places like your grandfather used to. What I really don’t get is that many of those that are against sardinian names call themselves “Anti-Fascisti”… and as Joesard said, fascism was the main reason behind Italian names. I apologize for this vehement commentary, but when it comes to languages I’m a bit oversensitive. Well indeed the language issue in Sardinia is quite a problem. Jennifer mentioned Gallurese, but there are many more. I just looked up wiki and found out, much to my astonishment, that Sardinia is miniature tower of babel language wise with eight distinct variations for a population of 1,8 million people. History, the fascist regime enforced Italian on the local population, and also the basic necessity of communication, has allowed Italian to become the principal spoken language in the main towns of Sardinia and the dialects tend to prevail only in the smaller communities, but it’s possible that the average “Sardo” on the street speaks better Italian than his mainland counterparts. The language issue, in my opinion is basically a question of heritage and culture, the younger generations (me included 🙂 ) are losing touch with their ancient traditions and therefore losing their identity versus globalization. As Jennifer in many of her articles has reported, Sardinia is unique in its folklore and traditions but this heritage is now at risk because the older generations are often in difficulty passing down to youngsters their love and pride of being Sardo. One of the measures adopted by local administrations to try to limit this trend is enforcing – Sa Limba Sarda – as the second official language, a mix of the two principal spoken variations of logudorese and campidanese, and consequently updating street names and locations with the original Sardinia names. This is terribly confusing both to visitors and locals like me who have never learnt a word of Sardinian. Even more so if you consider that the Sardo names, more often than not, don’t even look like corresponding Italian names (check out the google map). There is so much more to be said but it would be boring for the most, but I would like to take the opportunity to warn the unwary visitor to avoid using the word dialect when referring to Sardo, Upon hearing this the angry local will point out that Sardo is a language in its own right and not just a mere dialect. You never bore me with your wonderful insight! 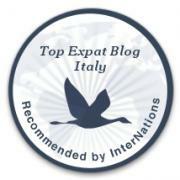 Thank you for your detailed comment and lesson on Sardinia! 🙂 Recently, on a public forum I was outed for stating Sardo is a dialect. I’ve learned my lesson and see their point. Not sure how to address it ‘on the ground,’ but google can give an option, when searching a foreign country: do you want to see the names in the local language or your browser language (I am in Moscow but use Google.com and all its other services with a .com extension, instead of .ru – and thus get everything, incl search results, in English). On a practical level, i.e. going about everyday life, is it enough to speak Italian, or do you need Sardo? Do they teach both in the schools? Which one’s the primary teaching language? Just this a law was passed to start teaching Sardo in schools, this I have a little problem with as in my area no one speaks Sardo, instead they speak Gallurese which is very different from Sardo. The majority in my town speak Gallurese to each other and Italian to me. Yesterday morning I had coffee with a few of my friends and they all spoke in Gallurese. To get about in everyday life Italian is more than enough. I wouldn’t even begin to study Sardo – why would I – no on in this area speaks it!! Italian is the primary teaching language. Crikey… I’d never even heard of Gallurese! It’s a similar can of worms here in Spain and all their regional languages. I’d quite like to move to Barcelona next year, and the only thing putting me off is the Catalan issue. Yes, everybody does speak Castilian there, and at this point, my Castilian is better than their English, so they would not automatically be switching to that when speaking to me, I’d hope. Still, the locals speak to each other in Catalan, and if I took up (semi)permanent residence there, I’d feel I’d have to learn it. But it’s not easy to learn a language, and I’m dreading the time and effort it will take to learn something that’s only really spoken by a ‘handful’ of people and completely useless in an international context.